Lima Oscar Lima | Whiteboard "Comics"
I have a new favorite comic, and it’s called The System. You should be reading it. Good news, I am reading The System. I write it as well, reading tends to be part of the review process. That is indeed good news. And you do a pretty damned good job at it. Why can’t I find this image on The System’s Archive. 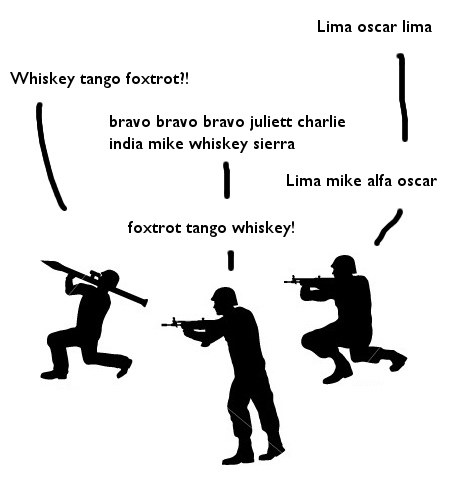 I searched Whiskey, Foxtrot, Bravo, Lima, Army, and Portrait. No Dice. Would love a t-shirt of this.